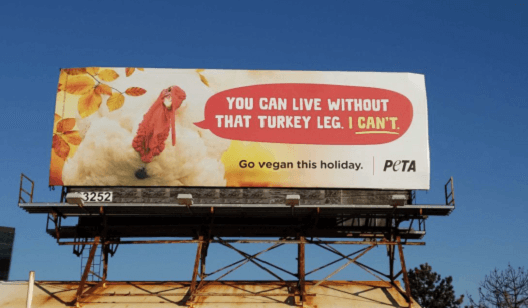 The People for the Ethical Treatment of Animals (PETA) tried to run a television ad during the 2009 Macy’s Thanksgiving Day Parade guilting meat eaters for consuming turkey, and affiliates of NBC News refused. PETA’s ad “Grace” features a young girl joined by her family around a large table saying grace before eating the Thanksgiving meal. “Thank you for when they burn their feathers off while they’re still alive, and for when turkey gets kicked around like a football, and killed by people who think it’s fun to stomp on their little turkey heads,” she continued, while her family looked around at each other in discomfort. “And special thanks for the chemicals and dirt and poop that’s in the turkey we’re about to eat,” she said, meeting looks of horror. “Oh, and thank you for rainbows. Amen,” she finished. The organization tried to run the ad on NBC during Macy’s Thanksgiving Day Parade in 2009, but it did not end up working, according to TampaBayCL. PETA said NBC asked for more information to bolster the ad’s claims about turkey slaughter, to which PETA replied with a 2003 New York Times article on the issue. The general manager of Raleigh’s WNCN said he chose to ban playing the ad because it was inappropriate for the spirit of the Thanksgiving parade, reported The Associated Press. Four NBC affiliates also refused to run the ad. PETA’s animal shelter allegedly killed 1,809 pets at its headquarters in Norfolk, Virginia, in 2017, according to a report given to the Virginia Department of Agriculture and Consumer Services (VDACS). 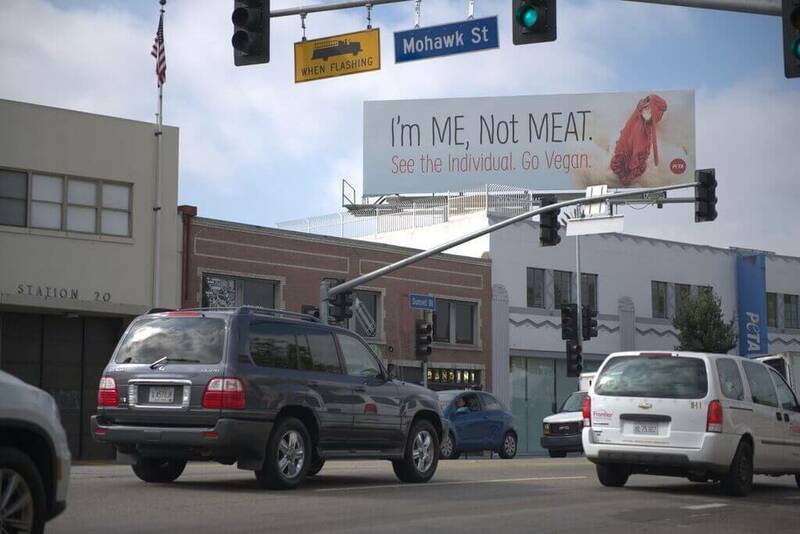 “Despite being no more provocative than Super Bowl ads for burgers, six pro-vegan PETA ads have been banned from the big game over the years, and in 2009, NBC refused to air a PETA video featuring a little girl who tells it exactly like it is for the 44 million turkeys who are killed for holiday meals,” PETA Senior Vice President Lisa Lange told The Daily Caller News Foundation. 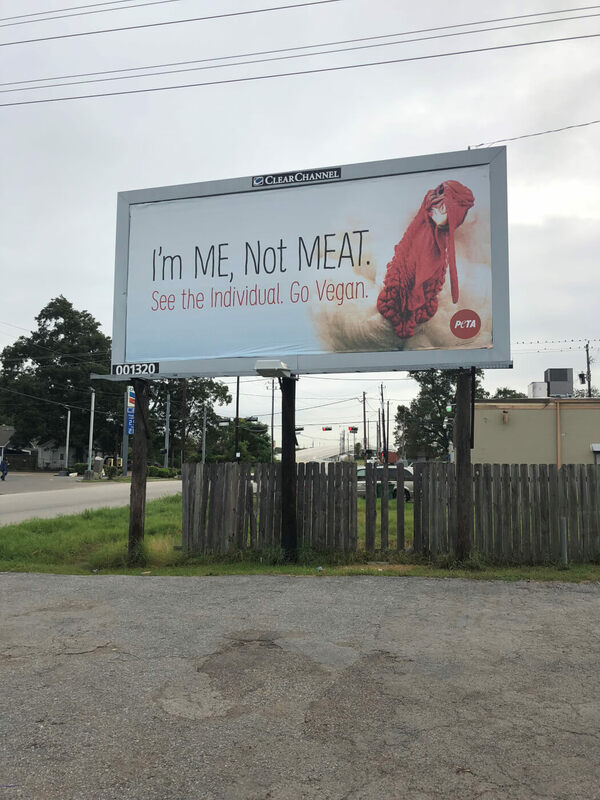 “But PETA places Thanksgiving ads every year, and the ones for the upcoming holiday have hit nearly a dozen cities, including Boston, Houston, and Los Angeles, with only one rejection, in Sacramento, California,” Lange added. NBC News did not reply to TheDCNF’s request for comment.